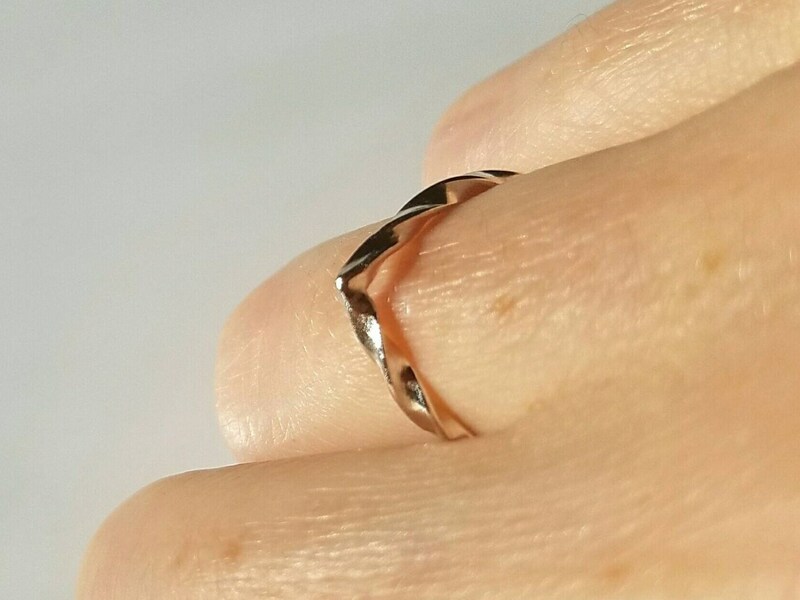 This ring was inspired by the horseshoe arch often seen in medieval architecture. 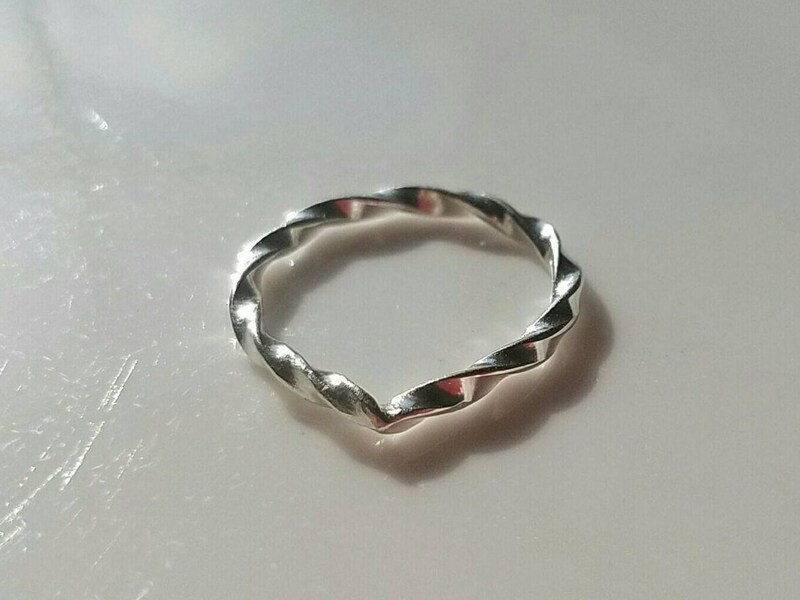 I hand twisted, forged and polished this ring and created a pinnacle which creates a tiny sparkle at the point of the arch. 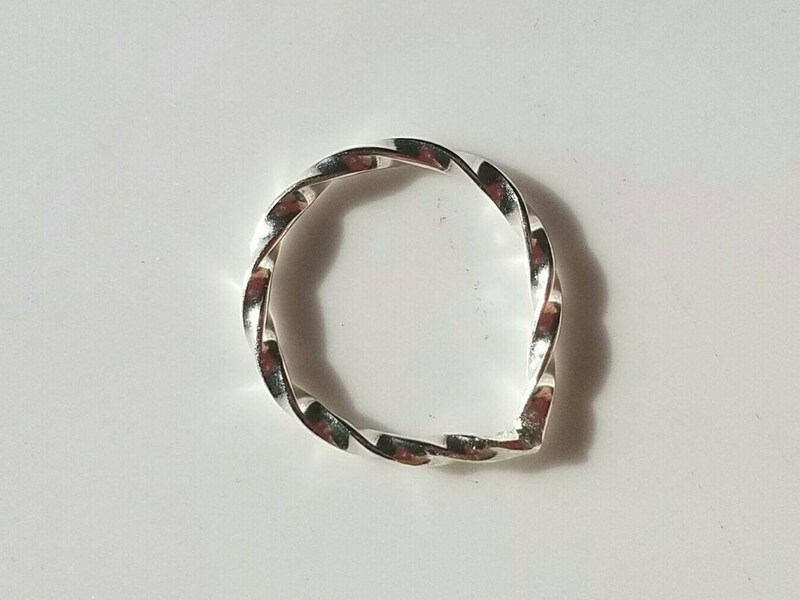 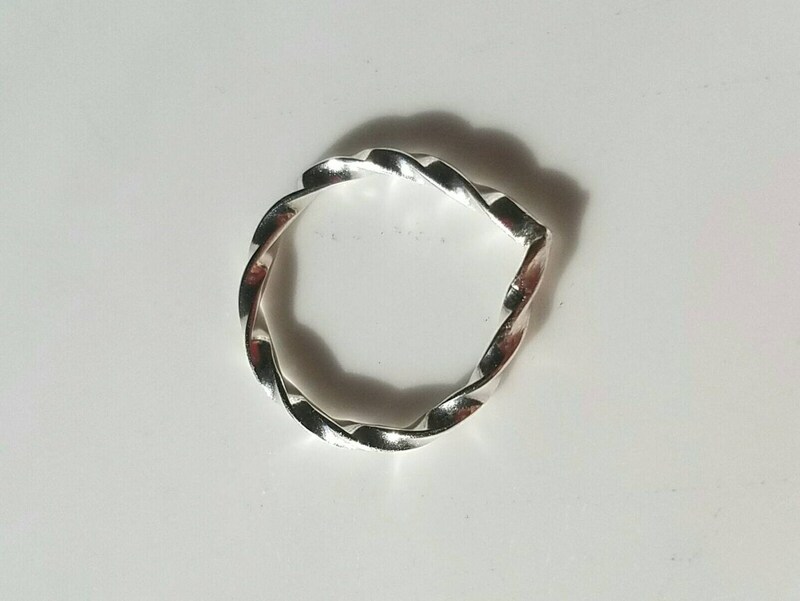 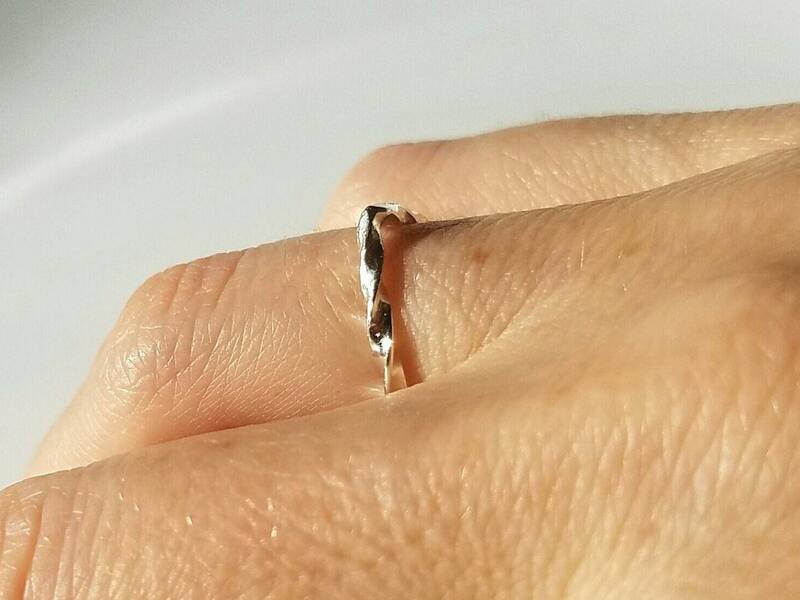 This sterling silver band is just under 2mm wide and is lovely worn alone or in a stack.